Winchester PDX1 45 ACP Auto 230 Grain Bonded Hollow Point ammo review offers the following information; The Winchester PDX1 Defender is one of the best civilian loads for self defense situations! The Winchester Defender is engineered to maximize terminal ballistics as defined by the demanding FBI test protocol, which simulates real-world threats. This Winchester PDX1 Defender 45 ACP Auto is loaded with a 230 grain Bonded Hollow Point bullet. The proprietary bonding process provides shooters with a projectile capable maximum expansion 100% weight retention. The engineers have welded together the lead core and copper jacket to obtain controlled expansion and a higher weight retention. Bonded bullets are also able to penetrate glass and some light barriers while maintaining their shape, weight and trajectory. Upon impact, the jacketed hollow point initiates expansion up to 1-1/2 times the size of the original bullet diameter. This hollow points feature a notched jacket to ensure six uniform segments creating optimum expansion. Winchester uses nickel plated brass to maximize reliability through smooth chambering and case ejection. 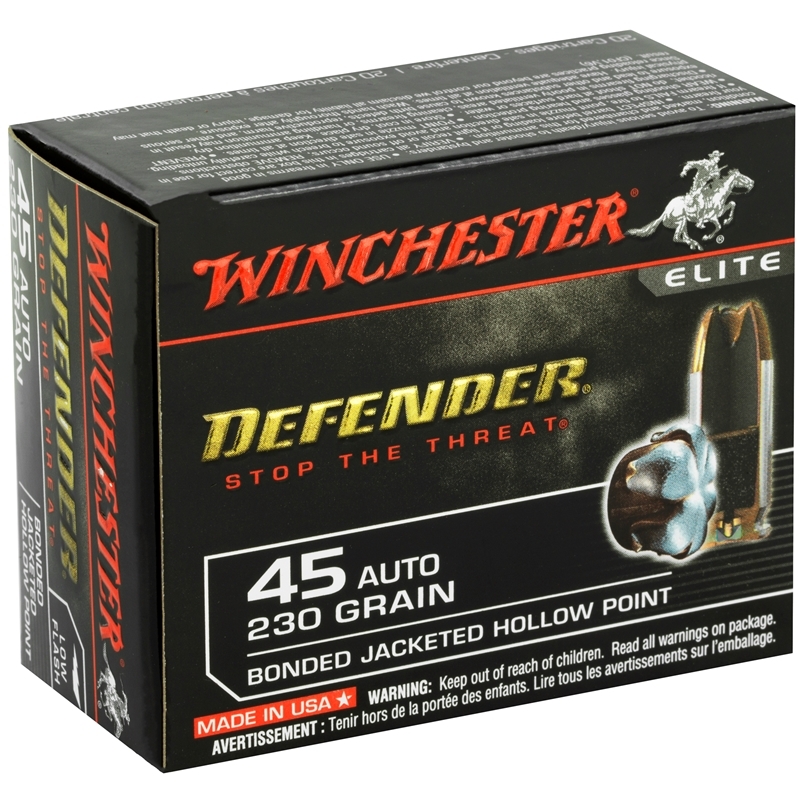 So next time your life is on the line trust Winchester PDX1 Defender to stop the threat! Winchester PDX1 Defender 45 ACP Auto is non-corrosive, new production ammunition in boxer primer and reloadable brass cases. I have purchased this ammunition from another supplier at times. The FBI did extensive testing on self-defense ammunition and this came out on top. That's good enough for me they know far more about the specs that I do. Pricey, but more muzzle energy than my go-to Speer GD, also bonded. 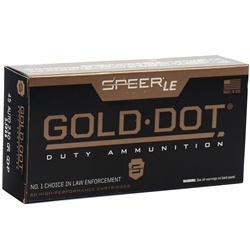 Don't buy nearly as much of these than the LE box Speer GD, however, this round goes in my premium 1911's. Feeds well and is my back-up home defence round.